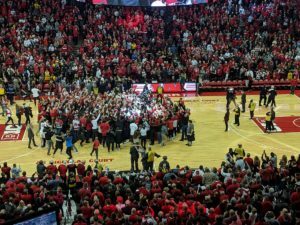 The Wisconsin Badgers ended their two-game Big Ten losing streak, knocking off previously unbeaten Michigan 64-54 on Saturday at the Kohl Center. Wisconsin (12-6, 4-3 Big Ten) got a huge performance from their best player, senior Ethan Happ. He scored 26 points and added 10-rebounds and seven assists for the Badgers. No other Badger player scored in double figures, but five other Badgers scored at least six points. Nathan Reuvers and Aleem Ford had nine points each. Brad Davison added eight points. D’Mitrick Trice and Kobe King each tallied six points. King also added five rebounds. The Wisconsin Badgers continue to struggle with slow starts and it happened again on Monday night in College Park, Maryland. The Badgers put on another second half charge but their comeback fell short, falling to the Terrapins 64-60. The Badgers shot 26.9% (7 of 26) from the field in the first half and missed all eight of their three-point attempts, trailing 33-15 at halftime. Maryland stretched the lead to 21 points early in the second half and maintained a comfortable lead for half of the second half. Ethan Happ left with 10:38 left in the game with his fourth foul and the Badgers trailed 51-33. That’s when Wisconsin went on a 8-0 run to pull within 10 (51-41). 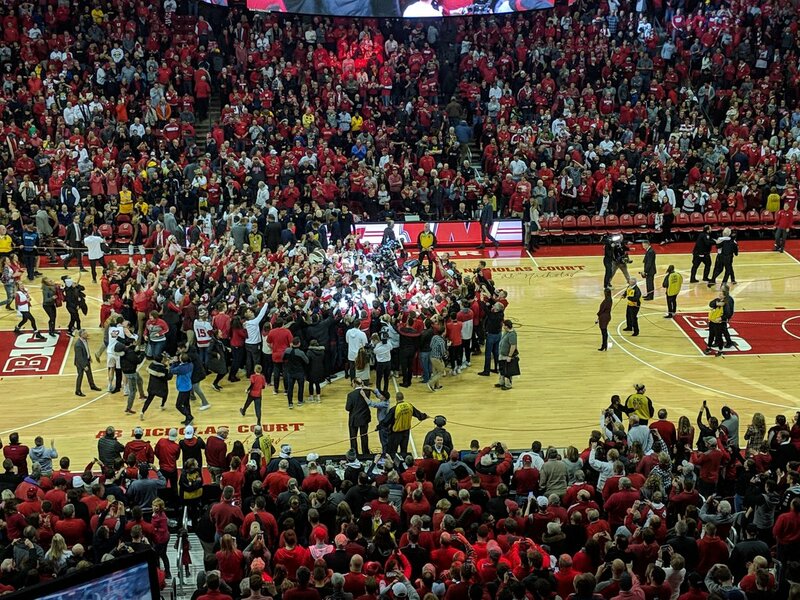 The Badgers eventually tied the game on a Nathan Reuvers three-pointer with 3:11 left to play and took the lead 60-59 when Brad Davison hit a three with 2:02 left. The Wisconsin men’s basketball team hit 15 of 27 three-pointers (55.6%) and rolled to a 87-53 win over the New Zealand Breakers on Thursday morning in Tauranga, New Zealand. Junior Andy Van Vliet made his first start as a Badger and led the way with 14 points. Sophomore point guard D’Mitrik Trice added 12 points, while freshmen Kobe King and Nathan Reuvers each scored 9 points for Wisconsin (2-0). The Badgers changed their starting lineup. Besides sophomore Brevin Pritzl, coach Greg Gard went with freshman Brad Davison, redshirt freshman Aleem Ford, Van Vliet and junior Charlie Thomas. That group helped the Badgers jump out to a 11-0 lead. Defensively, the Badgers held the Breakers to 29.7% shooting from the field and 3-for-21 (14.3%) from three-point range. The Badgers now head to Melbourne, Australia for the third game of their five game trip. They’ll face the Hawthorn Magic on Friday. Minnesota high school basketball standout Nathan Reuvers, during a campus visit to Wisconsin on Wednesday, gave his oral commitment to the Badgers for the 2017 basketball season. Reuvers had 25 scholarship offers and that number was expected to climb as the summer went along. But the 6’10 power forward didn’t want to wait any longer, announcing his intentions on Wednesday. Reuvers joins La Crosse Central guard Kobe King in UW’s 2017 recruiting class. 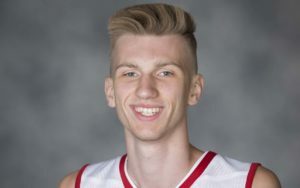 Reuvers had offers from Minnesota and Marquette, among others. The Badgers made the 6’10 power forward their number one priority for the 2017 class.